I started by applying Sally Hansen’s nail polish in the color 416 Green Tea on all my nails. You can of course use a base coat, but with Sally Hansen’s nail polishes I really don’t feel the need to. Green Tea is a really pretty light minty green color, which has a beautiful cream finish. I did a full review on it, so you can see it here, but it’s one of my all time favorite mint nail polishes! Very lovely and so suited for Easter. I love it! It's so cute! I really like the pink polish from Essie!!!! And the final result looks really girly like and Easter appropriate! The pink one reminds me of Mr. Blobby! Haha, so cute love them! What a great idea, I love it. Also all 3 colors are very nice. This nail art is faboulous! 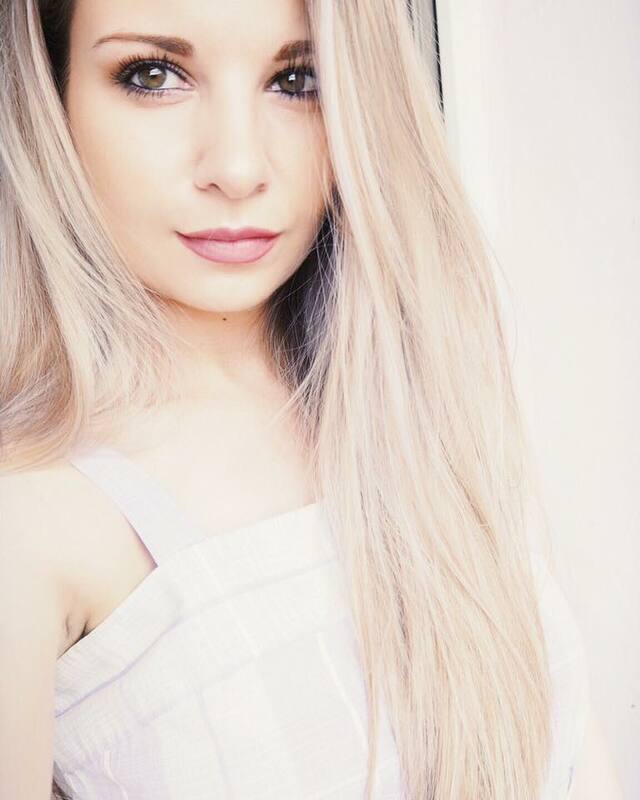 Come and check my latest post! Love the shades! The light green one is beautiful! Really cute nails, wish I was better at nail art! This is the perfect Easter mani. Its colorful and interesting, but not over the top! I love it! love the colors you choose!! Wow your nails look amazing and such pretty colours!! I'm loving these pastel colors! Easter is a great excuse to get the nail polish out. 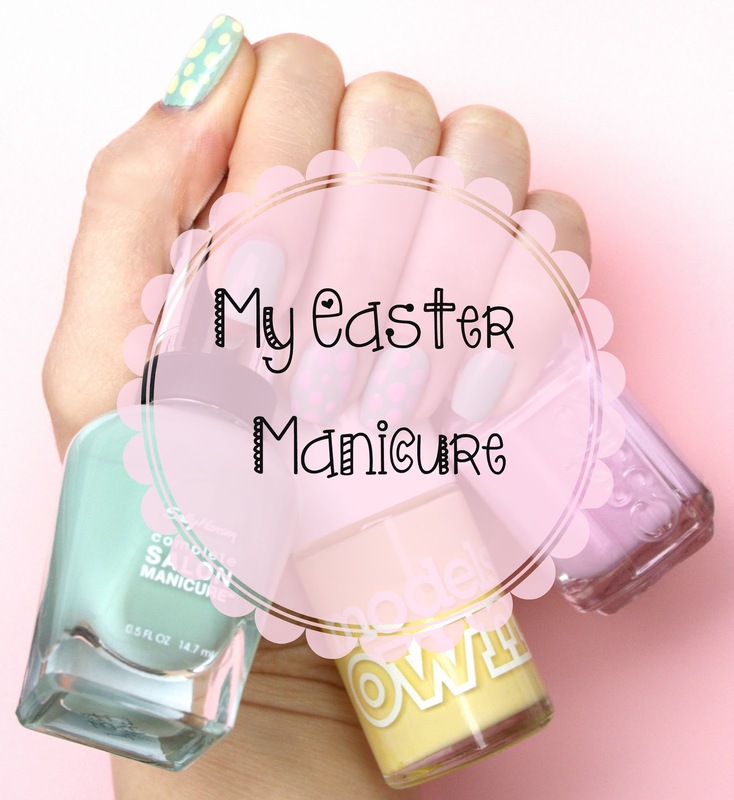 Really lovely colours and I love the nail art, I did an easter nail art as well, with little rabbits (: ! Loving this Easter-inspired post; everything is so dreamy and gorgeous! Gorgeous Easter nails :) i did some similar myself :). I love those pastel polishes, so pretty. Love that models own yellow colour! I bought a yellow one from Barry M but I don't think it is that nice as its not really a pastel one like this! Love theses colors! Amazing job! So cute manicure!I love it! These are fantastic, such pretty colours! Thanks for commenting on my post :) Loving your blog, you've just gained a follower! Wow, thanks for sharing so many brilliant nail polishes. I like the spotty nail style. Супер сладурско е! :) А какъв топ използваш? Very pretty, love the green shade, wish I was more creative with my nails! Que lindo, linda ideia ficou muito fofo! Venha conhecer meu blog e se gostar me segue tbm!! So cute!! Love the way you combined pastels together! your blog is amazing! love the way you take your pictures!